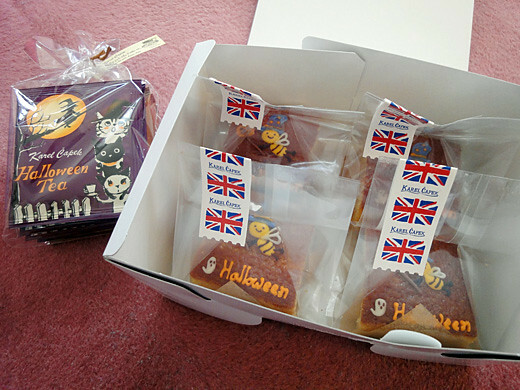 My friend gave me some Halloween cakes and tea by Karelcapek. 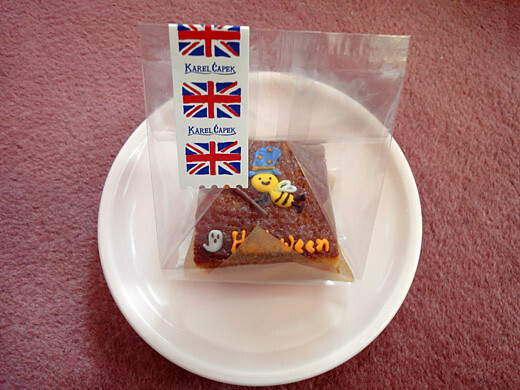 The very cute honey bees were put on the soft and moist cakes. 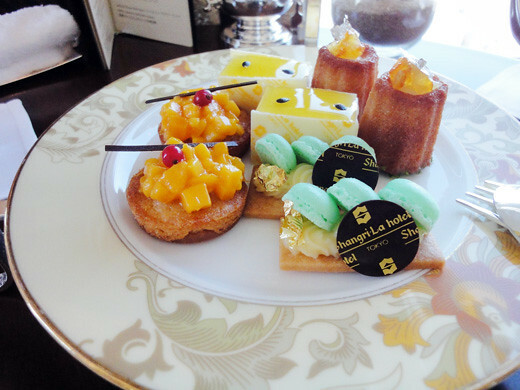 My family and I had very happy tea time with the good cakes and tea. 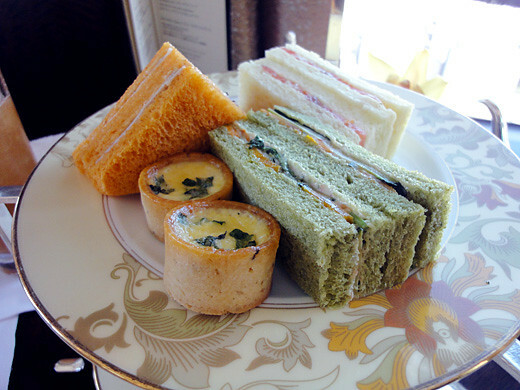 The beautiful set of the afternoon tea was great. 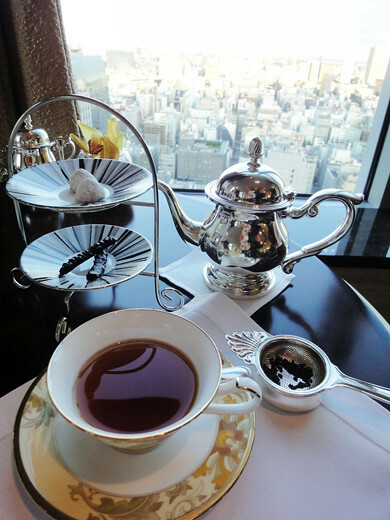 Also, we were able to have a variety of teas and coffees as much as we wanted. 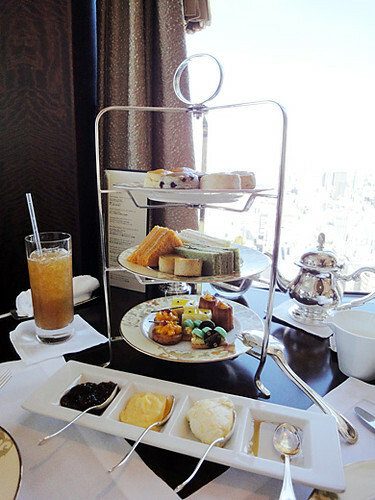 We definitely have to come back here for their ‘Autumn Afternoon Tea’. 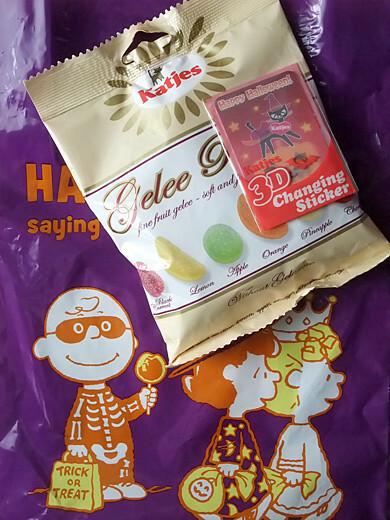 I found another Katjes freebie at PLAZA, this time it was attached on fruit gelees. 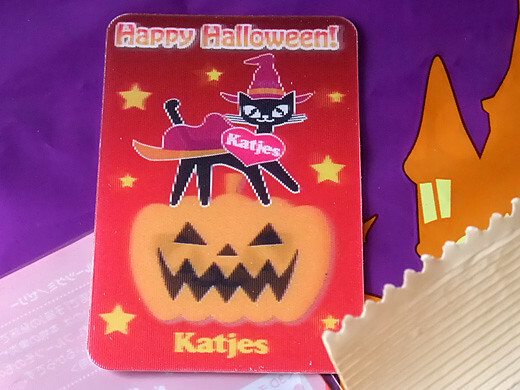 Cute Katjes mascot cat put on Halloween costumes in this 3D sticker. 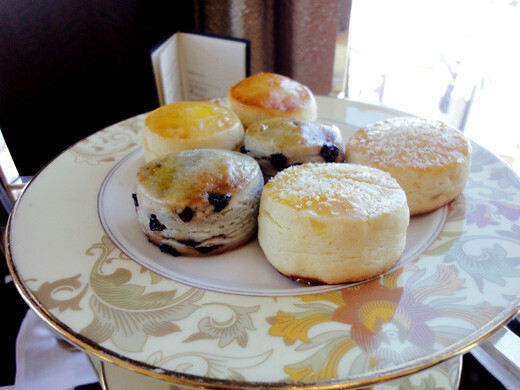 My friend and I had very precious time at Shangrila hotel Tokyo to had their afternoon tea. The lobby lounge on Level 28 where we had their afternoon tea is a very elegant lounge space for relax. Also, we are able to overlook the fantastic views of Tokyo. 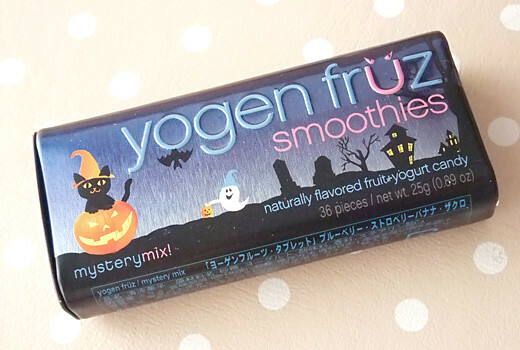 Helloween came on yogen fruz smoothies tablet candy. 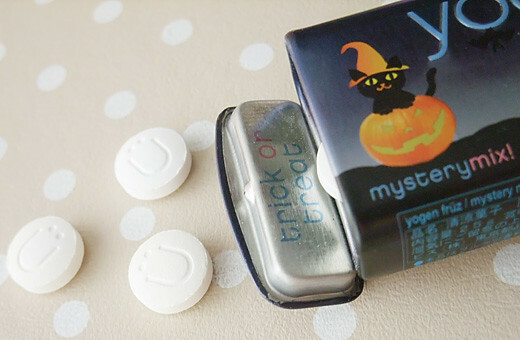 Scent of mixed natural fruits flavors (blueberry, strawberry, banana, and pomegranate) on yogurt tablet candies. 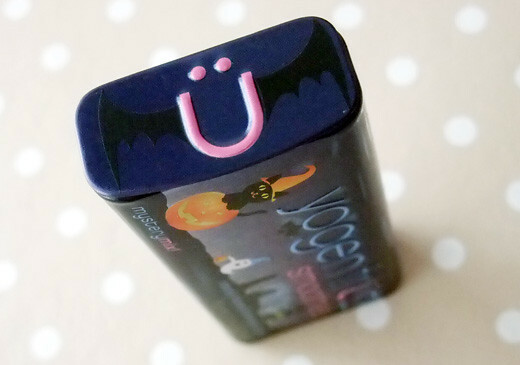 I love the cute witch cat package and the bat logo with “trick or treat” lid. 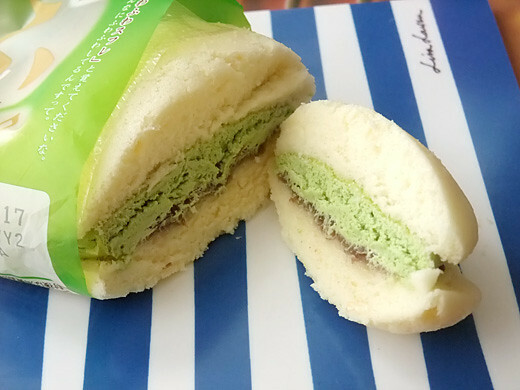 Latest flavor of “fu” casual cake’s flavor is green tea (matcha) & sweet bean paste. 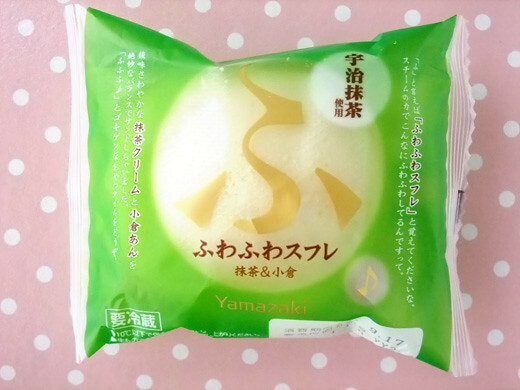 “Uji” is the name of place famous for good green tea. As always, it’s good and fluffy! 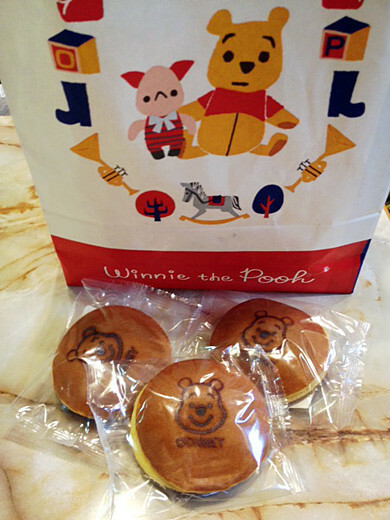 I got Winnie The Pooh Dorayaki at Winnie The Pooh shop Yurakucho Marui in Tokyo. The shop is opening　for a limited time. 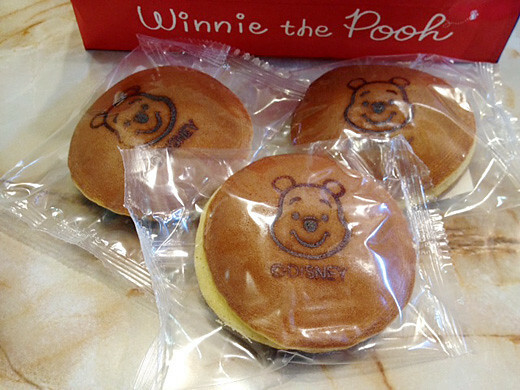 Dorayaki is a type of Japanese confection, а red bean pancake which consists of two small pancake-like patties made from castella wrapped around a filling of sweet Azuki red bean paste. 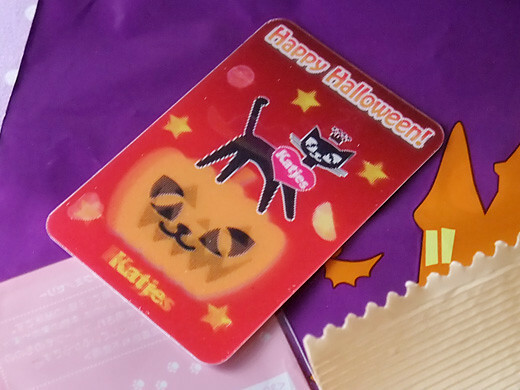 It’s a very tasty dessert. 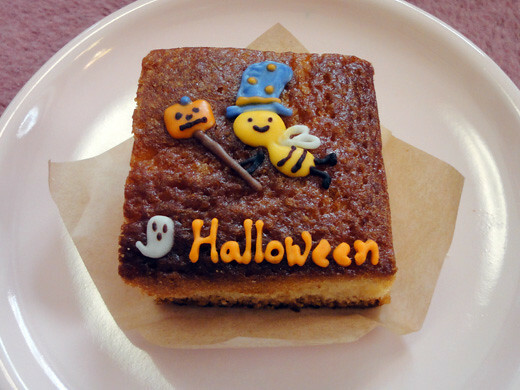 I and my mom went to Senbikiya fruit parlor. 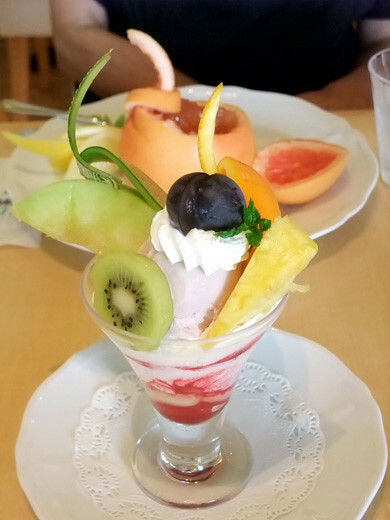 I had mini fruit parfait, and mom had grapefruit jelly. “mini” parfait was not so mini, I dug out good scented banana and creamy ice cream. 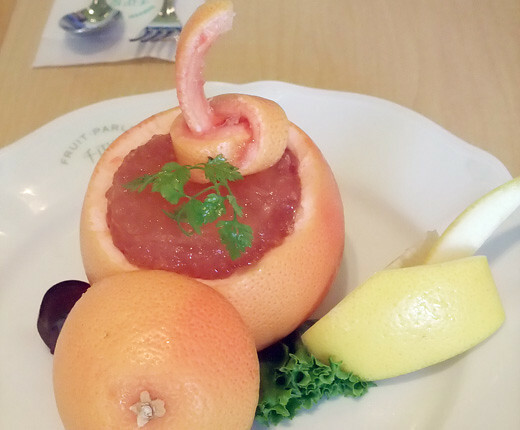 Grapefruit jelly is standard dessert at Senbikiya, it’s always fun to squeeze the juice of lid-like grapefruit top into jelly.